OPS Mary Stott, British writer and journalist whose latest book "Women Talking" was released by Pandora in 1987. She was the Editor of the Guardian Women's Page from 1957 to 1972. She has written many articles and books and served on numerous committees. In July 1987 she celebrates her 80th birthday. 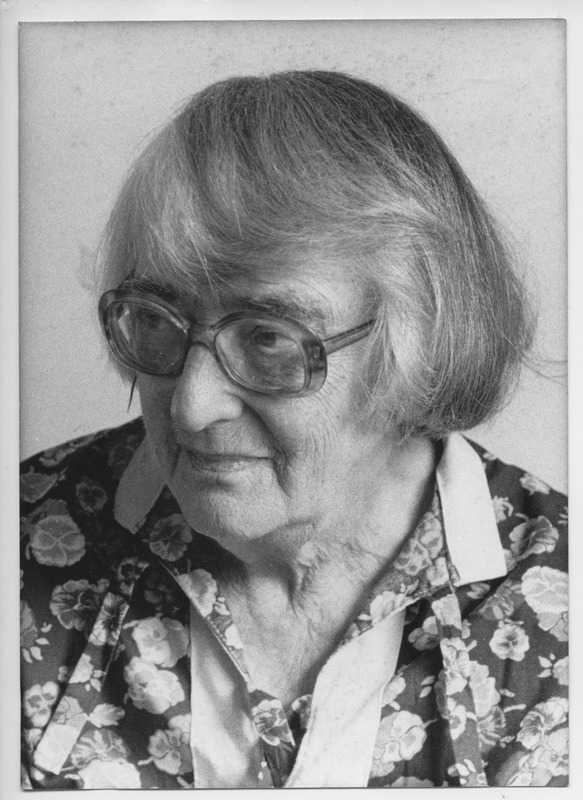 Serena Wadham , “Mary Stott writer and journalist (80th birthday),” Morrab Library Photographic Archive, accessed April 19, 2019, http://photoarchive.morrablibrary.org.uk/items/show/14786.